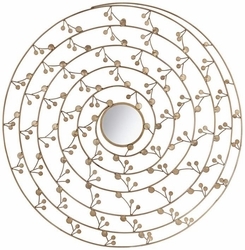 Round, swirling metal in a gold finish forms a flower-like design with a small mirror as the center. 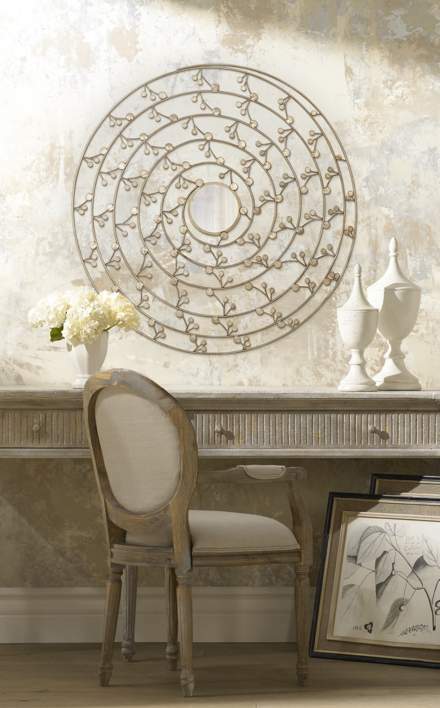 Part wall art and part mirror, this round design is sure to make a statement in your arsenal of home accessories. The swirling, flower-like piece is coated in a gold finish and is constructed from metal. At the center lies a small circular mirror to bounce light around the room. Stylish and functional! Hang weight 5 pounds. 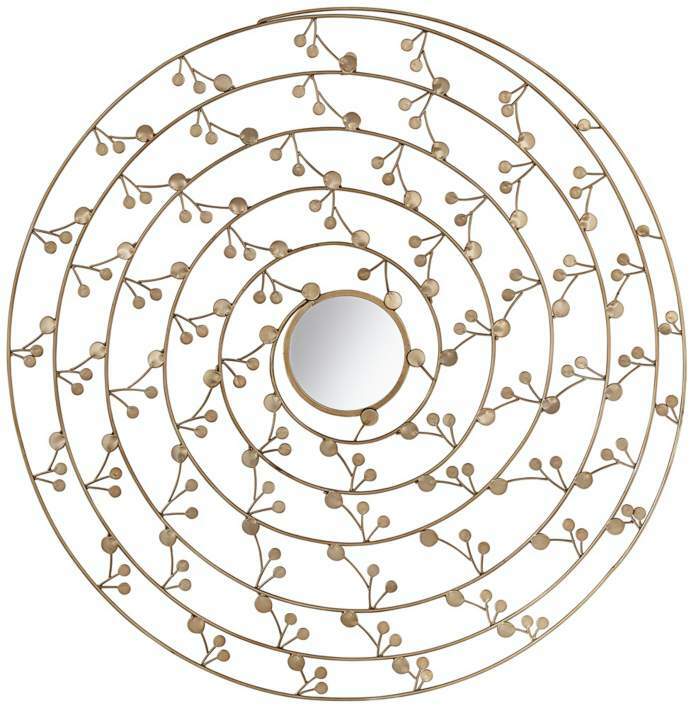 • Decorative wall art with center mirror. • Mirror glass only is 5 1/4" round. • Hang weight 5 pounds.